The difference between "casual" and "letting yourself go"
This full kit is not for the faint of sartorial heart, we grant you. It is the difference between dipping your toes into the criminally comfortable athleisure trend and full-blown letting yourself go. 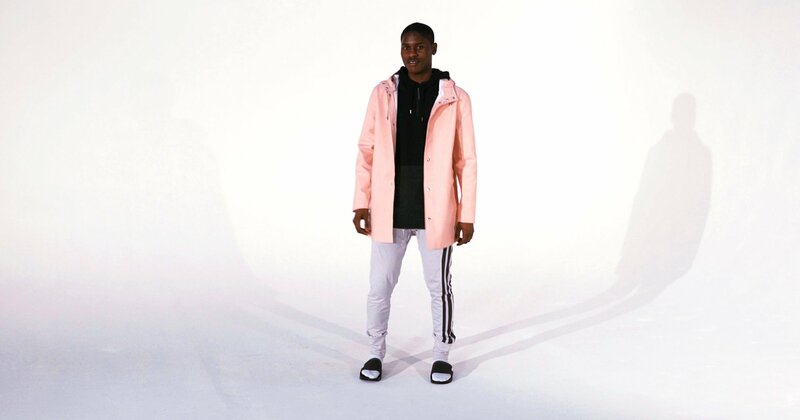 But taken piecemeal, each of its elements — roomy hoodie, throwback track pants, raincoat in an unexpected color — can add a dose of fashion-forward swagger to your everyday arsenal.